Who’s using SOURCE Hydration Packs? We love the stories of our products. 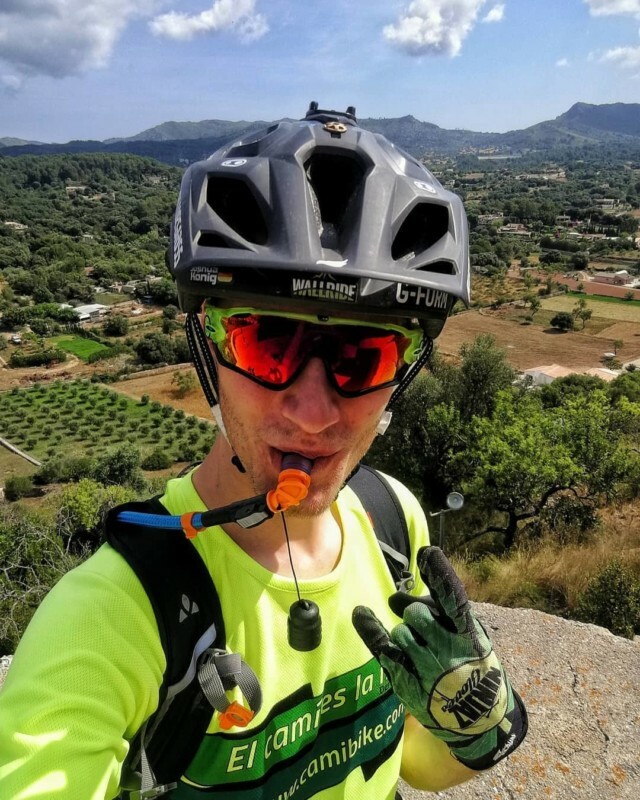 Recently we got chatting with Joshua König, a professional Mountain Bike Guide using our standard Widepac Hydration System every day, “and it works like on the first day”. Hi Joshua, you are a MTB Guide, sounds like a dream job! For me it’s my dream job. I’m from Germany originally, and i was always into mountain biking. Online I got in touch with Roxybike, this bike shop in Mallorca. We clicked, I bought a ticket to Mallorca – it’s a Spanish island in the Mediterranean, very popular with European tourists – for a week to have a look at the shop, meet the team… and I got a job and I stayed. What did you do before..? I was working as a stonemason before. During vacations I built a bike-park in Austria, worked as a licenced freeride-guide .. I was always into mountain biking. Are you guiding MTB tours full-time? Yes that’s what I do. It depends. During high season we offer ‘blue’ and ‘red’ tours. We don’t want to push our clients to the limit, we want them to enjoy. And in any case: we’re not racing or shredding with our clients. And obviously we only do trails we know by heart. 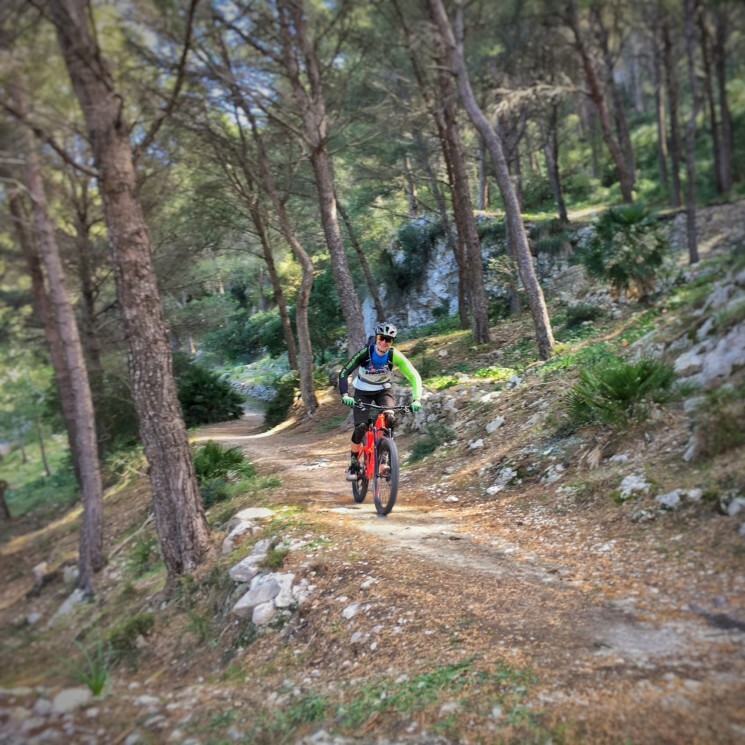 We ride according to the IMBA Trail Rules, because we ride on private ground and nature reserve areas. Who comes to bike with you? Who are your favorite customers then? MTB beginners or pros? I like every guest if she or he is polite and friendly. What gear do you take along as a guide? Mobile phone, first aid kit, spare parts for the bikes, tubes, multitool, 2 pumps, SOURCE Hydration System with water, one bottle with extra water, snacks. Do you carry your group’s gear? Only the spare parts for the bikes. The participants carry water, snacks and personal stuff. They get from us everything – also helmet, gloves, water, snacks ..
You mentioned your SOURCE Hydration Bladder – why are you using our Widepac? Because the Widepac is simple to use, easy to clean, durable. And after one year it’s working still like on the first day! Great. We are happy to hear that from someone that uses his Widepac every day – now at the end, tell us 3 things you love about your job, and 3 things you hate ..
1 – Every day is different, in the morning you don’t know whats happening during the tour. 2 – You meet many different people, from different countries, with different jobs … You get to know a lot. 3 – It’s really diverse! Never boring. And 3 things you don’t like? I guess any rider can relate to that. Thanks for the talk and have a great late summer and fall season in Mallorca! For SOURCE Hydration Packs and Hydration Systems visit our online catalog and shop here!